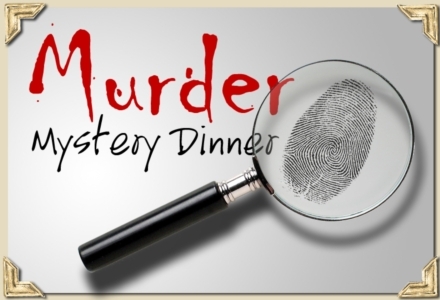 There will be a Murder at ORO…..and you can help solve the mystery! Join us on October 31 for a fantastic evening of food, drinks, and a fabulous show! Shhhhh! Look before you leap. Check around every corner. Make sure you are not being tailed. Now, come on in to the best party in town. We have the best speakeasy in the state and everyone is dying to get in. If you are looking to get spifflicated, intoxicated, or to get a hold of some giggle water, this is the place. Earl Chesterfield and his orchestra will be providing toe-tapping music so you can Charleston throughout the night. Raise a glass with radio hostess, Maisy Monroe. Get your picture taken with movie star Mimi Allmine. Thrill to the stories told by well-known stunt pilot, Cornelia Earnhardt. And get to know our colorful mayor, Leonard “Buddy” Ledbetter. Your reservation includes a three course dinner, selected wine and beer, and a FABULOUS show! Make your reservation today by calling us at 919.239.4010.